This paper points out the current gaps when implementing the state duty to consult with Sami communities in land and resource decisions. Resourcing, competence development and cooperation are high on the list of near-term actions to make gains. Rasmus Kløcker Larsen, Stockholm Environment Institute, and Kaisa Raitio, Swedish University of Agricultural Sciences. Implementing the State Duty to Consult in Land and Resource Decisions: Perspectives from Sami Communities and Swedish State Officials. Arctic Review on Law and Politics. The duty of states to consult indigenous communities is a well-established legal principle, but its implications for practice remain uncertain. 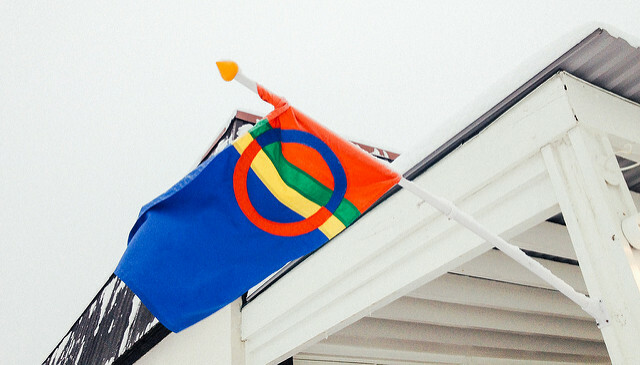 Sweden is finding itself at a particularly critical juncture as it prepares to legislate a duty to consult the Sami people in line with its international obligations. This paper explores the ability of Swedish state actors to implement the duty to consult, based on lessons from an already existing duty set out in Swedish minority law, namely to ensure the effective participation of minorities in land and resource decisions. Presenting novel empirical material on the views of Sami communities and state officials in ministries and agencies, we demonstrate the existence of considerable implementation gaps linked to practice, sectoral legislation, and political discourse. We argue that if state duties are to promote the intended intercultural reconciliation, then new measures are needed to ensure enforcement, e.g. via mechanisms of appeal and rules of nullification. In addition, sectoral resource regulations should be amended to refer to the duties set out in minority law and/or a potential new bill on consultation duty in a consistent manner. In the near-term, the state should ensure that Sami communities are adequately resourced to engage in consultation and should invest in state authorities’ own ability to implement, i.e. through competence development, staffing, intersectoral coordination, and independent evaluation. Much could also be gained if state agencies and Sami communities worked together to develop detailed consultation routines for relevant resource sectors. This study was funded by the Swedish Environmental Protection Agency through the project “Contested landscapes: navigating competing claims on cumulative impacts (CO-LAND)” with co-funding from Research Council Formas through the project “Indigenous Rights and the Global Politics of Resource Extraction: The Case of Mining in Sápmi” and the Swedish University of Agricultural Sciences (SLU) through the project “Impacts and Rights”.